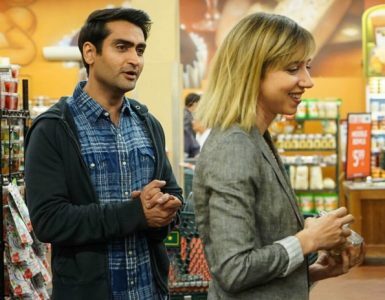 In the constant battle for consumer attention, brands look to make a connection with consumers as quickly as possible during any form of advertising. Many brands, like KFC, Arby’s, and AT&T, have turned to humor to create this connection. 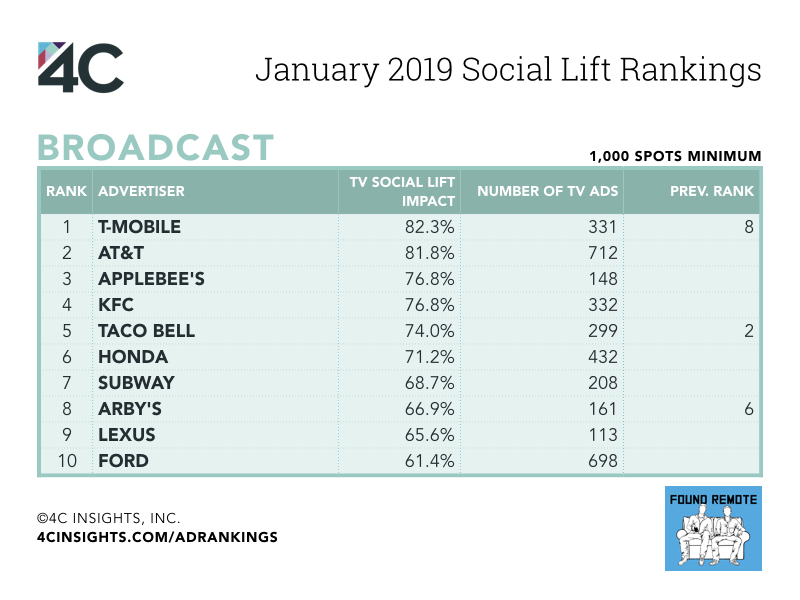 Read on to see which brands connected most with their audiences through TV advertising in January. T-Mobile took the top spot for broadcast, thanks in part to ads featuring a family vacation. 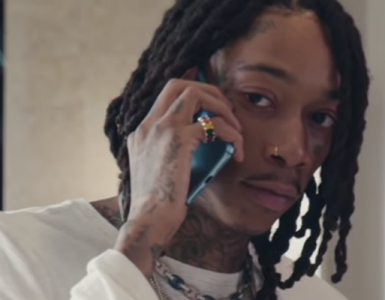 With its “Just OK is not OK” ads, AT&T grabbed audience attention and the second spot for broadcast advertisers in January. 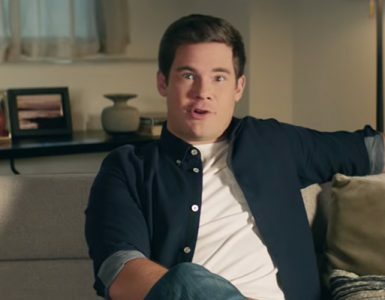 Starbucks, which ran ads for its Keurig K Cups, took the top spot for cable advertisers. The company saw an overall increase in engagement in January, following former CEO Howard Schultz’s public interest in a 2020 Presidential bid. 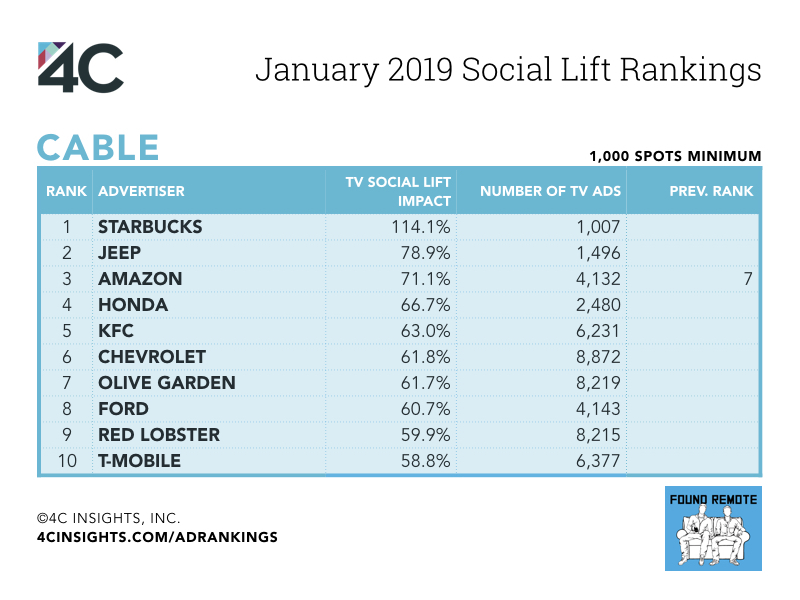 Jeep connected with viewers with ads for the 2019 Wrangler, jumping to 2nd place for cable advertisers. 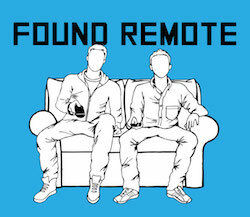 For example, T-Mobile’s 82.3% TV Social Lift Impact means DirecTV’s broadcast TV ads increased T-Mobile’s social engagements by 82.3% in the two minutes following the start of an ad.